NECA 2013 DC Photos Are Posted! Looking for a photo from NECA 2013 Washington DC? Over 1,200 pictures from this year’s convention and trade show are posted on NECA’s Flickr photo-sharing account in the “NECA 2013 Washington DC” set. Photos are arranged by event title in alphabetical order. 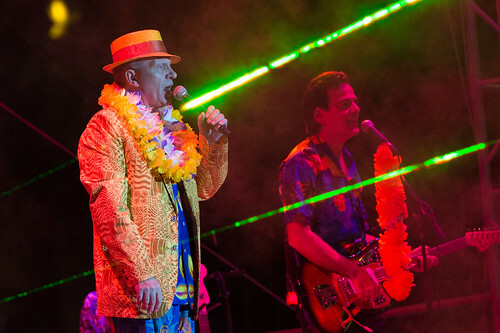 The set starts with the Academy of Electrical Contracting Fellow inductions; to Academy of Electrical Contracting/ELECTRI International Reception; to Board of Governors meeting — through the Trade Show and Phil Vassar at the Closing Celebration. Take a look through the set and let us know your favorites! NECA 2012 Las Vegas: What happens in Vegas… goes on NECA’s Flickr! Check out NECA’s Flickr Stream for NECA 2012 Las Vegas Moments You’ll Always Remember! It’s a Sunset Beach Party, Las Vegas! 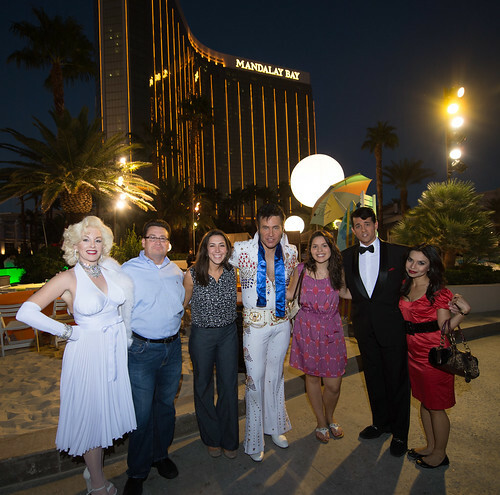 Convention go-ers gathered Saturday night for the NECA 2012 Convention & Trade Show’s opening reception at the Mandalay Beach, a world-famous playground with a wave pool, lazy river, three swimming pools, and 2,700 tons of real sand… right in the middle of Las Vegas. 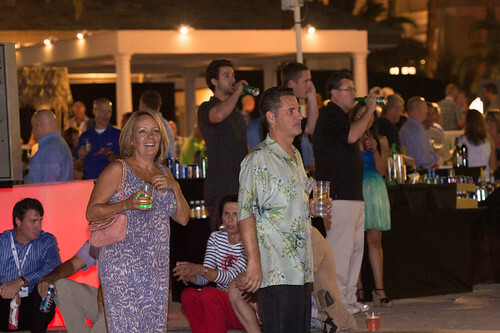 Check out candid shots from the ultra lounges, or watch as Marilyn and Elvis wow attendees by the cabanas. No, we don’t mean all the great networking opportunities and gala events at the convention and trade show. NECA uses several online social media tools to share information with our members and friends in the industry during NECA 2012 Las Vegas. Here’s how you can join the conversation! We’ll have continually updated displays on our on-site social media posts at two Social Media Wall displays on the NECA Show floor, strategically positioned for maximum visibility. Make sure your Facebook, blog posts, Tweets and Flickr posts appear on the Social Media walls by correctly tagging them. NECA CONVENTION BLOG: Guest Posts and Comments Welcome! The first source for both preliminary and on-site news for NECA 2010 Boston is blog.necaconvention.org. We live-blog the general sessions, technical workshops, the Show floor, special events, and any schedule changes. RSS makes it easy to get instant updates from the site on your reader or smart phone. All blog entries are cross-posted to NECA Convention’s Facebook and Twitter pages, too. Blog posts include photos and tags so you can easily find what you’re looking for. Got an idea for a post or want to post a comment on a post that’s already up? We love to hear your thoughts. Just go to blog.necaconvention.org! FACEBOOK: Become a Fan on NECA Convention! By “fanning” NECA 2012 Las Vegas on Facebook, you will join a community of convention-goers and exhibitors, all excited to see what this year’s NECA Show will have to offer, including blog posts, photo albums and videos. Add your comments and “like” our posts, or leave a message on our wall. TWITTER: Follow and Tag Your Tweets! Twitter.com/NECAConvention is one of NECA’s most popular feeds, and it kicks into high gear during the NECA Show, as our roving Twitter posse live-tweets product demos and technical workshops. To start receiving our updates, follow twitter.com/ NECAConvention and send a tweet to @NECAConvention letting us know you will be at NECA 2012 Las Vegas so we can follow and re-tweet your tweets to our followers, too! Be aware that NECA Show exhibitors also make special offers via Twitter during the NECA Show for Show-goers who follow their company or @NECAConvention, like free goodies for the next five people who come to their booth to say they got the message on Twitter. Any tweets tagged #NECA12 will automatically appear on our Social Media Walls on the NECA Show floor. FLICKR: Share and Tag NECA 2012 Photos! Every picture we take at Las Vegas is added to NECA’s Flickr feed for everyone to enjoy. We’d love to see your pictures, too. Questions? Go to www.necanet.org/social to find links to all of NECA’s social media sites and our tips for using social media to promote your business. The easiest way to connect with your fellow NECA contractors and convention-goers fits right in the palm of your hand. Use your smartphone, iPad, Android, or tablet device and keep the conversation going! 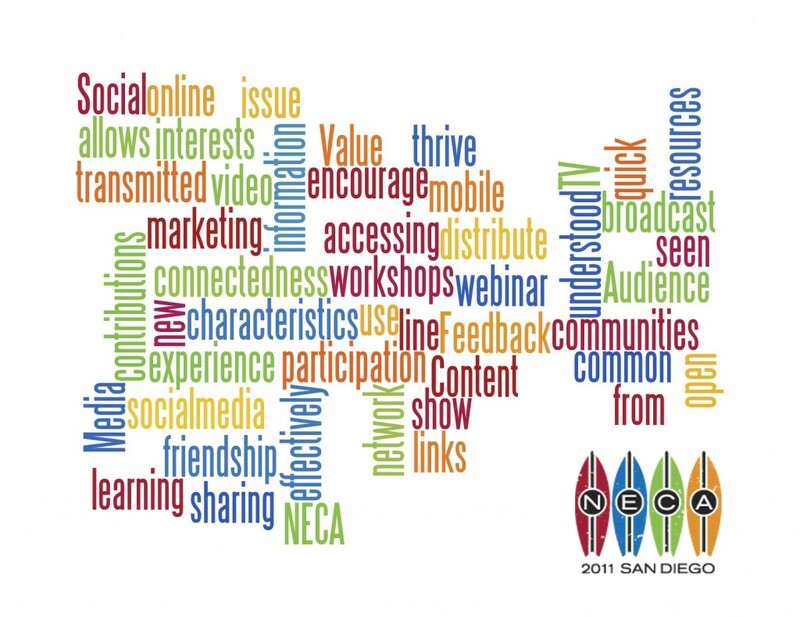 Use #NECA11 to tweet your San Diego experiences! Win prizes – 2011 San Diego exhibitors tweet exclusive offers, don’t miss out! Watch a daily digest of video recaps, live from San Diego on YouTube! Missed a session, technical workshop or just can’t get enough of NECA 2011 San Diego? Read daily posts and exclusive interviews right here on the exclusive blog!